We Buy Any Car® TV Commercials - As Seen on TV! We take pride in not only our service but the videos we produce as well. webuyanycar.com is not going to hit you over the head with the same old catch phrases and overblown dramatics you see from other companies. We know you are smarter than that and that’s why we don’t run gimmicks. Our mission is simple, to provide you with a fast, safe and fair way to sell your car while taking some time to have a little fun once in a while. This page is where we share our TV adverts and post other videos related to selling your car and as we don't mind poking fun at ourselves, you may even see the occasional spoof video. Enjoy! 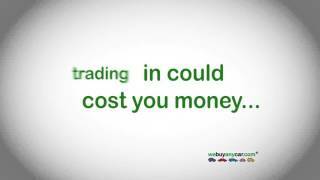 Webuyanycar.com’s brand new television advert for 2017! Just as the commercial states, “the gimmicks stop with our ads”. We like to have fun but when it comes to buying your car, we are all business. We have streamlined the process of selling your car, truck or SUV into 3 simple steps. First, get your free online valuation to see how much your car is worth. Then schedule an appointment at one of our conveniently located car buying centers. Lastly, and most importantly, walk out with a check you can deposit immediately. It’s the fast, safe and fair way to sell your car! webuyanycar.com is lifting the lid on dealer trade in price discrimination. Buyers who trade in pay an average of $990 more than those who do not trade in their used cars! Trading in tells a dealer a lot about your willingness to pay. If you trade in for the same make or even the same and model, the dealer does not have to give as much discount on the new car to seal the deal. Our three step process makes selling your car fast, safe and fair. Start by getting a free online valuation. Once complete you can book an appointment at one of our conveniently located car buying centers. Finally, after the deal is complete you’ll walk out with a check you can cash same day. 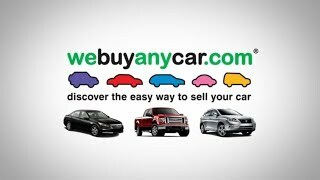 Prepare to be stunned by our new webuyanycar.com TV commercial. We have removed the singing, the techno jingle and yes, even the sweet dance moves. We have retooled and reconfigured our commercial to not only show another side of us, but to better convey just how easy it is to sell your car to webuyanycar.com. As you can see in our new balloon TV commercial, we are a leading car buyer and make selling your car as easy as 3 simple steps. Our process is fast, safe and fair and we purchase any make or model you want to sell. We have convenient locations available for you to sell your car. We can even settle your loan or lease. 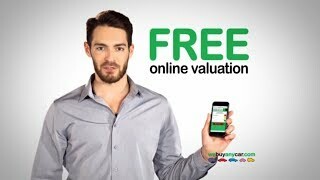 Check out the new webuyanycar.com balloon TV commercial and let us know what you think. Do you love our new commercial or do you miss the singing and dancing? 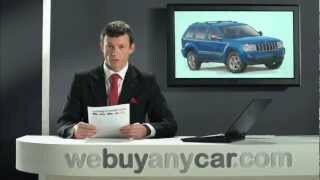 Car buying specialist webuyanycar.com has become famous for not only being a leading car buyer but for this incredibly catchy commercial as well. It has inspired thousands to quote it, sing it and yes, even a few have tried to dance like it. While many have failed to replicate the dance moves, thousands of car owners have succeeded in selling their car to webuyanycar.com. Our customers love taking advantage of our uniquely fast, safe service to get a fair price for their car without the hassle and risk of selling privately. We buy any car regardless of make, model or year. Whether you are getting rid of a second car you no longer need, trading up or trading down, webuyanycar.com makes selling a car simple and fast. We’ll buy your car quickly and you’ll walk away with a check in hand that you can cash right away. We’re not a car dealer – we only buy cars and we don’t want to sell you another car so you can be assured that there will be no dealer pressure or trade-in math, just a straight forward offer to buy your car at a fair price. 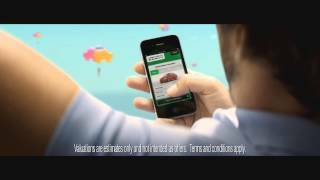 Discover not only one of the catchiest jingles in the history of television but also the easy way to sell your car with webuyanycar.com.